2 Littlefaces: Fluffy pancakes - Kiwi Style! Fluffy pancakes - Kiwi Style! 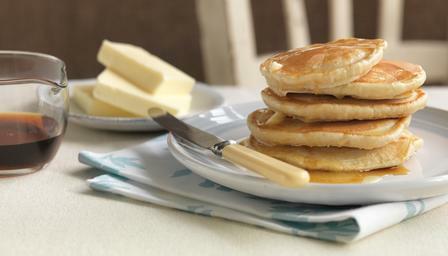 Makes about 12 pikelets or 6 pancakes so just double up the ingredients if you want more! Sift the flour, (baking powder), salt and sugar into a large bowl. In a separate bowl or jug, lightly whisk together the milk and egg, then whisk in the melted butter.